Philipp Lahm will only get two more chances to appear at the Allianz Arena in Bayern Munich colours. The south stand applauded and Lahm acknowledged the encouragement as he applauded them for their support in the pouring Munich rain after the 3-2 DFB Cup semi-final defeat to Borussia Dortmund. The Bayern captain no doubt would have liked to end his impressive career with the DFB Cup final in Berlin, but instead the curtain will come down after Matchday 34’s home game against SC Freiburg. The 33-year-old now wants to move on from the painful defeat to Dortmund on Wednesday night and savour the remaining time he has as a player. “We had plenty of chances to increase our lead, but then they equalised to make it 2-2 and I made a mistake for them to go 3-2 up. That’s why we’re out,” a self-critical Lahm analysed following the result. Ahead of the game, the defender had said it was not the time to be sentimental, and Lahm continued to hold the same belief after the match as he looked towards the future. “I still have three and a half weeks left, so I’m going to try and enjoy those remaining weeks. They’re my last as a professional footballer.” Lahm announced his decision to retire at the end of the season back in February. Watch: Bayern on the brink of fifth consecutive Bundesliga title. Elimination against Real Madrid in the Champions League last week and now the failure to reach the DFB Cup final have hurt Lahm, but the World Cup winning captain is now looking forward to a fifth consecutive Bundesliga title as a crowning achievement. 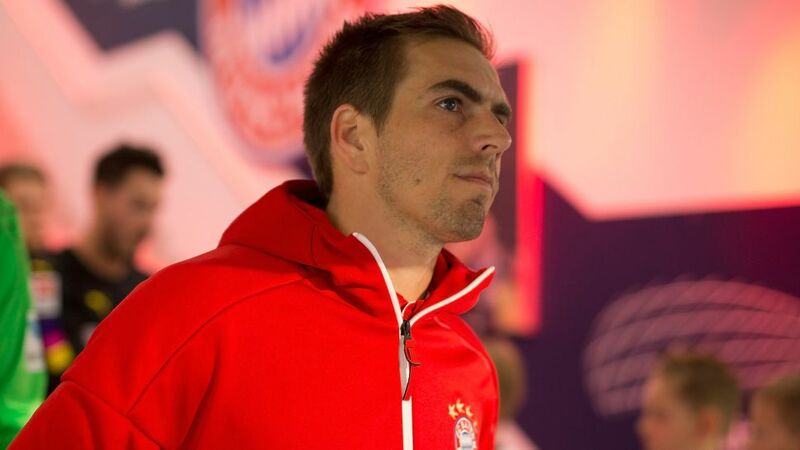 "Winning the title every year is not a given," stressed Lahm. An eighth Bundesliga winner’s medal would move the Bayern legend level with record-holders Bastian Schweinsteiger, Oliver Kahn and Mehmet Scholl. "I never played football for the records but simply because I wanted to be successful," said Lahm. He added, "winning the title would be a lovely farewell for me." That decisive moment could come this Saturday. Should pursuers RB Leipzig, who are currently eight points behind the record champions, fail to beat Ingolstadt, then a win for Bayern at Wolfsburg in the evening will see them crowned champions with three games to spare. Wolfsburg has also been a happy hunting ground for the Bavarians in the past as they have secured the title on two previous occasions in the Lower Saxony city (2003 and 2008).